The first three videos shows the construction of a cloakroom and a bathroom at EcoOca - Brazil. The technique was developed by Fernando Pacheco, engineer, and it is called HyperAdobe. 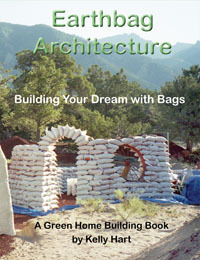 It is a more ecological option to the Superadobe technique. Tendatrix Black Base, built with the technique of hiperadobe. The first of several that will be the Camping Area (Village) of Parquescola Ecoetrix. This building is a self-sufficient home of 800 sf, made with rammed earth in mesh earthbags. You can take a workshop with us this summer by going to www.earthenhand.com to see the course offerings.